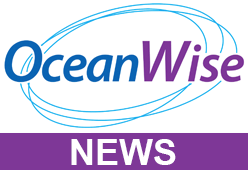 OceanWise working with its Licensed Partner, Seatronics, an Acteon company, are pleased to announce the completion of a three year project to design, install and deliver a fully operational network of 34 water level and temperature monitoring stations for Bayanat LLC in the United Arab Emirates (UAE). The stations are positioned at strategic locations within UAE from the Western Region to the border with Oman, a distance of over 400 km. Water level is being measured using Valeport VRS-20 Radars with water temperature being measured using PT100 sensors from General Acoustics. All equipment is solar powered and housed in Valeport’s TideStation enclosures. Communication with the stations is being handled using the Smart Telemetry Unit, the ip.buffer, from OceanWise over UAE’s cellular network. All scientific and system data is being sent to servers located at Bayanat’s offices in UAE. The servers are running Microsoft SQL Server and OceanWise’s Ocean Database and Port-Log System software. The servers were supplied by Seatronics and installed by OceanWise who also provided system testing and training. The sensors were supplied and installed for the client by Seatronics who are providing ongoing support locally with OceanWise providing remote support from the UK, where required.